The Sanskrit word Ahimsa is the antonym of Himsa. Himsa means harmfulness and causing pain and grief to other beings. 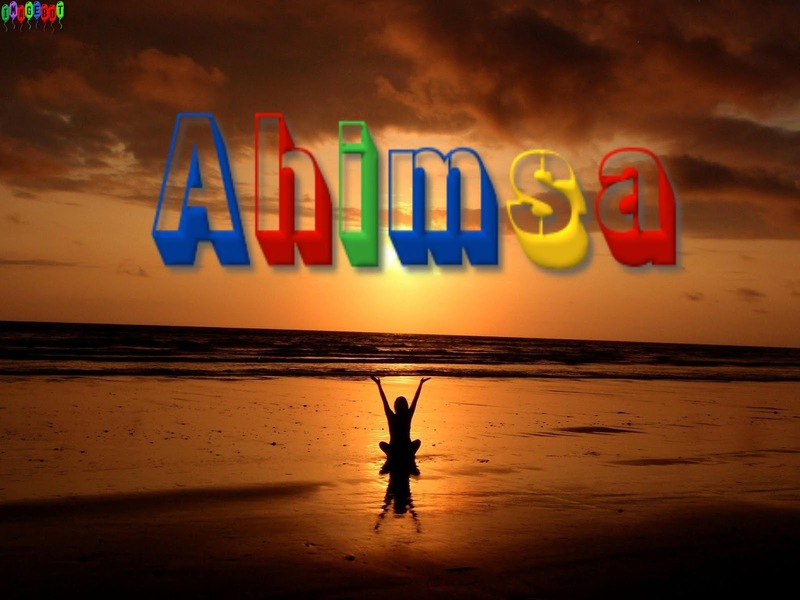 Hence Ahimsa means harmlessness or non-violence. But the indicated meaning goes beyond non-violence. It includes relieving the sufferings of other beings: feeding the poor, treating the pains and sufferings of the diseases. Showing love and kindness is the real meaning of Ahimsa. Love and kindness should be ingrained in thoughts, speech, and deeds. Though the Sanskrit word has been the part of English Language since the late 19th Century, it became popular only when Mahatma Gandhiji made the non-violent protest against the then British Government of India which eventually leads to the independence in the year 1947. The primary virtue to be practiced for the attainment of yoga is non-violence. 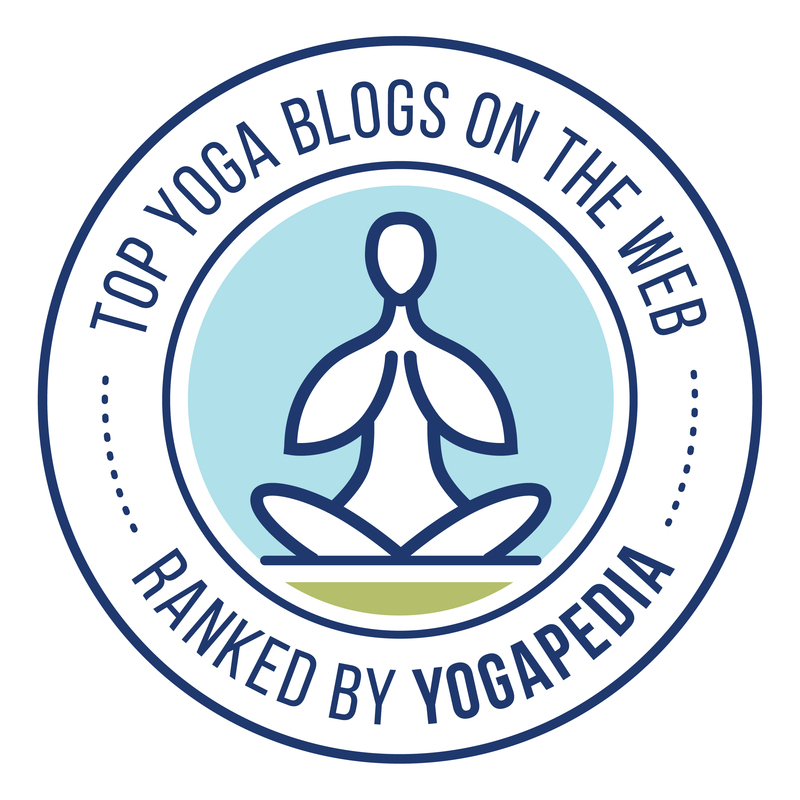 This is why it has become the foremost of the Yamas of Yoga Sutra of Patanjali and most of the Yoga Upanishads. Interestingly, Yoga Tattva Upanishad classifies Non-violence under Niyama and calls it as the foremost Niyama: Ahimsa Niyamesvega Mukhya. According to Yoga Sutra, If a yogi has established himself in Non-violence, all beings lose their animosity in his presence. Why it has become the primary yogic virtue? Is it because of the moral values it has? Of course, it has moral values. But the reason is more than that. Yoga is the stoppage of the modifications of the mind. The obstructions to this goal are the modifications of the mind like the thoughts, speech, and bodily activities that harm others out of anger, desire, jealousy, ego and the like. All these modifications result in injury to other living creatures by thought or speech or body. The injured will react back. Now the yogi is subjected to a chain of modifications. As a result, the yogi fails in his path. To overcome this obstacle, he should ground himself in Ahimsa. But how? Patanjali provides a solution. When the modifications like anger, desire, etc., arise, the yogi should cultivate opposite modifications. For example, in place of anger, he should show love. He says "Vidarka badhana pratipaksha bhavanam" which means "cultivate contrary thoughts when disturbed by deviating thoughts". He provides this tip for all those thoughts that deviate from all Yamas and Niyamas. Simply put, in place of deviating thoughts of Himsa, cultivate Ahimsa. No wonder, cultivating Ahimsa, the yogi goes to next level in yogic path. Now, recall the words of Patanjali about the benefits of Ahimsa. He says "all living creatures lose their hostility in the presence of a yogi who has well cultivated in Non-violence". The yogi is exhibiting only positive thoughts and hence there is no question of hostility in others. If at all they have any, the positive thoughts of the yogi will annihilate those animosities. As a result, his yoga is not disturbed. For any Yogi, it is the primary virtue to be cultivated not merely because it has moral values, but because of the reason that his progress is stalled without it. In yoga practice, the concept of Ahimsa applies to not only the absence of non-violence but also the absence of non-violent thoughts. In Hinduism, it is also a moral virtue or one of the moral code of conducts. Ahimsa Paramo Dharma, says Mahabharata repeatedly. It means non-injuring is the supreme dharma or the primary duty. Chandogyga Upanishad 3.17.4 enumerates the five essential virtues: Ahimsa, Satyavachana (Truth in speech), Arjava (Morality), Tapa (Penance), and Dhana (charity). Bhagavad Gita 17.14 defines Penance of the body as worshiping of God, Brahmins, Gurus, and worshippable persons and cultivating cleanliness, morality, celibacy, and Ahimsa. Yajnavalkya Smriti 1.8 says 'Of all the activities of Dharmas (Moral virtues) like Ijayachara or altruism, Dama or control of mind, Ahimsa or non-hurting, Danam or charity, and Svadhyaya or study of the Self, Yogena-Atma-Darshanam or realization of Atman by Yoga is the Supreme Virtue. The principles of Ahimsa apply to animals and other beings. Killing animals for food is Himsa and it should be avoided. In Hinduism, one should not eat meat, because it hurts animals. But initially, meat-eating was not uncommon in Hinduism. Manu Smriti 2.177 declares that a Brahmachari should abstain from honey, meat, perfumes, garlands, flavoring substances, women, substances causing acidity. He should abstain from making injury to other beings. Eating honey is also making injury to other beings: taking away the food of honey-bees. Verse 3.152 says that meat sellers should be avoided in sacrifices offered to Gods. Verse 5.7 prohibits a Brahmin from eating rice boiled with sesamum, wheat mixed with butter, milk with sugar, milk with rice, flour cakes not prepared for sacrifice, meat not sprinkled with water while sacred texts were recited and food offered to Gods. Verse 5.11 says that he should avoid carnivorous birds and animals which are not permitted to be eaten. Verse 5.27 allows a Brahmin to eat meat sprinkled with water and recitation of the mantras, when he desires to eat or when he is engaged in a rite allowed in law or when his life is in danger. It is evident that the slaughtering of animals for sacrifices and meat-eating was common in those days. However, verses 5.48 to 5.56 glorifies non-eater of meat. Yajnavalkya Smriti says that a householder should not eat meat before consecration. The meat of carnivorous animals and birds should be avoided. However, a man who is on the path of Brahmacharya should not eat meat. For the sin of taking meat, he should perform a Kreckkara rite as specified. Selling of meat is one of the Upapadhakas or minor sins. It is learned that in the days of Manu Smriti and Yajnavalkya Smriti, meat-eating was common and acceptable for a householder, even for a Brahmin. But for a Brahmachari, he should abstain from. This prohibition was later imposed on householder also. In Thirukkural, Thiruvalluvar talks about the non-eating of meat in ten verses. Verse 251: How the divine grace is with him who eats the body of other beings to build his own body? Verse 252: A man of wealth loses his grandeur when he fails to safeguard the wealth. Similarly, a man of divine grace loses his grandeur when he eats meat. Verse 253: Like the mind of a man who bears the weapons of killing, the mind of the meat-eater does not go for any good. Verse 254: The divine grace is nothing but non-killing. Killing is other than that. Eating the body after that killing is non-virtuous. Verse 255: The life-force takes abode in non-killing. But the hell would catch hold of the meat-eater and won't allow him to escape forever. Verse 256: When people stop killing for the sake of eating, then no one will sell dead bodies for money. Verse 257: One should abstain from eating meat because of the knowledge that meat is the wound of other beings. Verse 258: One who has no trace of impurity always abstains from eating the dead body of other beings. Verse 259: Non-eating the dead is far better than thousands of oblations with ghee to appease God. Verse 260: He, who abstains from killing and eating meat, is saluted by all beings. Non-violence was initially one of the code of conducts for Brahmacharya and later on imposed on householder too. It became a general Dharma. War involves violent activities like killings and injuries to others. Buddhism prescribes the five precepts or Pancha Seela which is the code of ethics undertaken by the followers of Buddhism. These are the moral virtues or duties to be practiced. It is like the Pancha Yama of Yogic Philosophy. Ahimsa is the first precept of Pancha Seela. According to Buddhism, Ahimsa is the abstinence from the onslaught of any being that breathes. In other words, the abstention from killing other sentient beings is the precept of Ahimsa. Taking the lives of animals, even small creatures like insects is against this precept. The killing of animals of larger size is more serious than the killing of animals of smaller size. Similarly, taking human life is more serious than other beings. Killing a spiritually accomplished person is even more serious. Hence it depends a lot on the size, intelligence, benefits, and spirituality of the living being. Suicide, Capital punishment, and Abortion are also against the precept. The precept prohibits one to be the cause of another making such killings. The precept prohibits all the activities of war. As the Yama is five-fold in the philosophy of Yoga, Maha-Viratas or great vows are five-fold in the philosophy of Jainism. They are Ahimsa, Sathya, Asteya, Brahmacharya, and Aparigraha. The names are pretty much the same, but their connotations vary a little. he very tendency of harming others harms the own-self. One who takes the vow of non-violence should not cause even fear to other life forms. A householder is forbidden to kill others except for cereals, vegetables, and herbs. But an ascetic is prohibited to destroy even vegetables and herbs. According to the philosophy of Jainism, Ahimsa is of two types: Bhava Ahimsa and Karma Ahimsa. Bhava Ahimsa is thinking to injure others in thoughts and intentions; whereas Karma Ahimsa is doing harm by deeds and words. Both activities of harming others are detrimental to the pure nature of the soul. The classifications are for the purpose of understanding only. A Jain monk should always cultivate carefulness in the activities of walking, talking, eating, handling things and evacuation and disposal of excreted matters in such a way not to harm any life form. The following activities are transgressions of Ahimsa. The war activities of a king are not against the vow since the intention of war activities are to safeguard the people. Similarly, the intentions behind the activities of a judge are to maintain law and order and hence they don't go against the vow. Jains are the strict adherents to vegetarianism. No other religion ever prescribes such vigorous adherence. Mahatma Gandhiji rightly calls it: "No other religion in the world has ever explained the concept of Ahimsa so deeply and systematically as is discussed with its practical applicability in Jainism." According to Purusardhasiddhiyupaya, those who wish to renounce himsa should first give up the consumption of wine, flesh, honey, and the fruits of five fig trees. In Hinduism, Buddhism, and Jainism non-violence is the primary vow to be cultivated. In the philosophy of Yoga, the reason for the cultivation of non-violence is to get mastery over the modifications of the mind. The very progress of yoga rests on the cultivation of non-violence in thoughts, speech, and deeds. Yoga Tattva Upanishad is the Upanishad of yoga philosophy. It is the forty-first Upanishad among the 108 Upanishads and forms part of Krishna Yajur Veda. It contains 142 verses. I (says the author of the Upanishad) hereby present the philosophy of yoga (yoga tattva) for the benefit of yogis. By hearing and learning this yoga, the yogi will get released himself from all the sins. The great yogi by name Vishnu, the Supreme Being who is known for his spiritual austerities, stands as the beacon of light in the path of yoga tattva. The Pitamaha (Pitamaha means grandfather. It here refers to Lord Brahman, the deity) approached Lord Jagannath (the other name for Lord Vishnu. Jagannath means the Lord of the universe) paid him respects and asked him to explain the philosophy of Astanga Yoga (yoga of eight limbs or stages). Dhyana Bindu Upanishad is the 39th of 108 Upanishads. It contains 106 verses and is attached to Krishna Yajur Veda whereas a smaller version of 26 verses was found attached to Atharva Veda. This Upanishad and Yoga Tattva Upanishad contains some common verses. The mountainous sins accumulated over many births can be destroyed by Dhyana Yoga (Meditation). Nobody is found to have destroyed the sins by any other means except Meditation. Meditation is the only way to annihilate the sins. Pranava (Om) is the Supreme Bijakshara (seed letter) with Nada (sound) and Bindu (dot). When the Nada dissolves, the soundless residuum (Brahman) remains. In other words, Pranava (Om) is eternal and Brahman is transcending the Pranava. One who knows the transcending Brahman knows everything without a doubt. Rishi Shandilya, the son of Rishi Devala and the grandson of Rishi Kashyaba, is one of the greatest rishis of Vedic Era. Rishi Shandilya was the disciple of Rishi Adhidanvaan Saunaka who taught him the nature of Brahman. He is associated with the Shandilya Vidya of Chandogya Upanishad of Sama Veda and Sathapatha Brahmana of Shukla Yajur Veda, wherein the very idea of God is first found mentioned. Rishi Shandilya was the great contributor of Upanishadic Philosophy. Shandilya Upanishad, also termed as Sandilyopanishad, is found attached to Atharva Veda. This Upanishad is the answer to questions by the Rishi Sandilya as a seeker, hence named as such. It is the 58thUpanishad of 108 Upanishads of Muktika Upanishad order and one of the 20 Yoga Upanishads. The Upanishad contains three chapters.